Aaah-oooooo…. 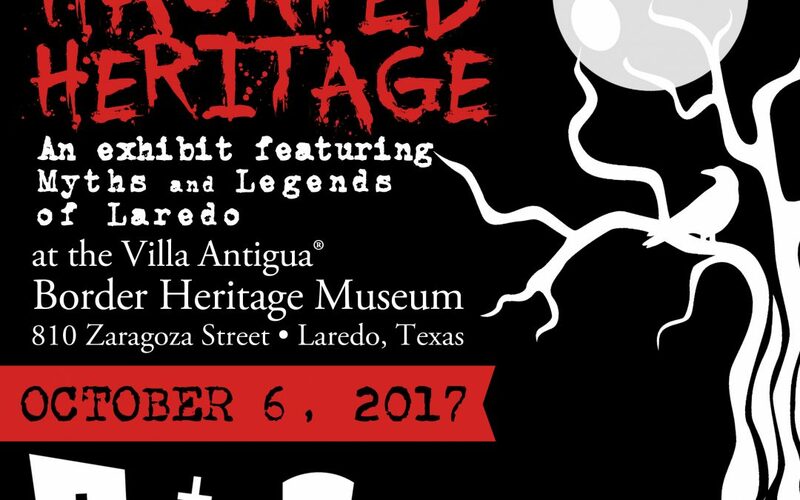 The Webb County Heritage Foundation invites the public to visit “Haunted Heritage – Myths and Legends of Laredo” on exhibit in spooky, downtown Laredo. The exhibit features a spine-tingling photo exhibit of Laredo’s most infamous haunted sites that is sure to make you walk just a little faster through certain areas of the city, and explains some of the stories and legends of Laredo’s mysterious past. Come find out about our region’s most notorious spooky characters: “La Llorona”, the chupacabra, and the spirits that visit many local schools). The exhibit takes place throughout the month of October at the Villa Antigua® Border Heritage Museum at 810 Zaragoza St. in historic, downtown Laredo. Museum hours are Tuesday – Saturday 9 a.m. – 4 p.m.